Get an excellent primer and introduction to Berlin on this private 3-hour tour. See some of the main landmarks and sites as the guide regales you with historical anecdotes, bringing the past right into the present. See Hitler's Bunker, the Brandenburg Gate, remnants of the Berlin Wall, Checkpoint Charlie and Museum Island, among many others. The tour can be customized to your preferences. 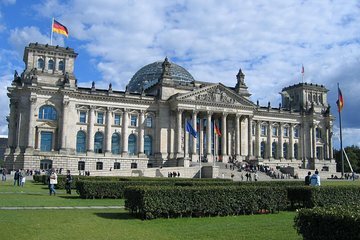 Also, consider the optional visit to the Reichstag at the end of the tour. Will recommend this company HIGHLY!! !